Here is just a little up-date of another delightful cooking event to better the integration of immigrants and refugees from many different countries into German society. As a group, we meet up every first Sunday of the month to cook and bake together in the afternoon and then enjoy the fruits of our labor in the evening. There is a ton that we can learn from each other and for the particpants is it always fun to discuss Syrian culture while chopping an onion or to talk about the education system in Eritrea while rolling out some cookie dough. At the same time, we discover unknown dishes, recipes, tastes and flavors and venture into the unknown, we make room for new perspectives and different points of view. And we even manage to re-discover our own traditions, maybe with a new twist or a fresh interpretation! That´s what I would call a successful team effort. On Sunday we enjoyed various dishes. As the theme for the evening was Kurdish Food, we started the dinner off with a traditional Kurdish Red Lentil (Nîsk) Soup - the ingredients included white rice and red lentils, onions, cumin, red lentils and fresh coriander - as well as tomato paste and red pepper paste. Then there were platters brimming with Hummus, the Middle Eastern dip made of chickpeas and silky tahini sesame paste as the base. Nicely finished off with chopped herbs, paprika and olive oil. Ibo from the Syrian city of Afrin and "his crew" prepared Kurdish Kebab Banjan (fried eggplants, flattened meatballs, tomatoes all layered into baking dishes and then cooked in the oven) and homemeade Ayran (jogurt, water, a bit of salt and garlic). And, of course, we had some sweet treats in the shape of cookies for dessert. As always, hugh thanks to all the wonderful participants, sponsors, organisation team (including Anke Krämer and Sara Meiers) and the Katholische Familienbildungsstätte Bonn for letting us cook in their wonderful kitchen! We will be cooking and baking again on the first Sunday in April - be prepared to learn more about some delicious food and seasonal desserts from many different parts of the world! 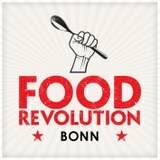 For more information, feel free to take a look at the FB page for the Über den Tellerrand kochen, Bonn group here and follow along, if you like! Dear David, thank you kindly for your wonderful comment! 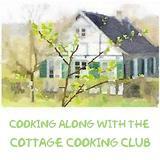 There is so much we can all do, getting together to cook and bake might only be a small step but a step in the right direction - I am enjoying this monthly event greatly and you would do an absolutely outstanding job if you organized a similar cooking event as well - and I would be tempted to drop by for dessert!!! Ganz liebe Grüße and euch beide! There is HOPE in the world for change, acceptance, unity, MORE LOVE. Absolutely, my dear friend! Let´s make the world a better place one day at a time!!! Much love, love, love back! Oh Andrea, what a enjoyable post...I am loving every word of it! And the food just sound terrific! Thank you for such an inspiring post. Wow - that a wonderful and inspiring idea, Andrea! Such a nice group (And delicious food)! wonderful ! we love falafel here !!! one of my favorites too!